My kiddos love math time! 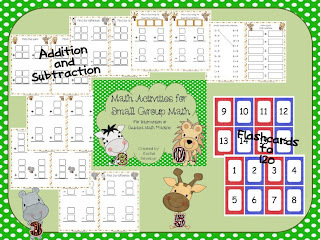 We use our dry erase boards a lot, all sorts of manipulatives, and play fun math games. What's not to love?! 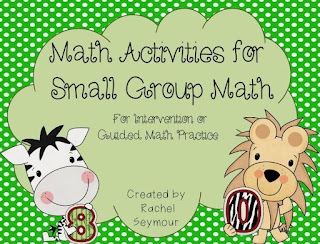 To help my kiddos who struggle with number sense I created a Math Activities for Small Group Math Pack to use during Daily 4 guided math groups back in the spring. It needed some updating and I just finished it. This pack focuses on Number Sense (120’s chart, more than, less than), Missing Numbers (before, between, after), 10 Frames and Skip Counting (by 2’s, 5’s, and 10’s), Hundreds, Tens, and Ones (printable manipulatives and number chart), Addition and Subtraction (single and double digit addition and subtraction, 3 single digit addition, fact families, equal math sentences), and Flashcards to 120 (blue are even, red are odd). I'll choose 3 winners by Thursday, October 4. 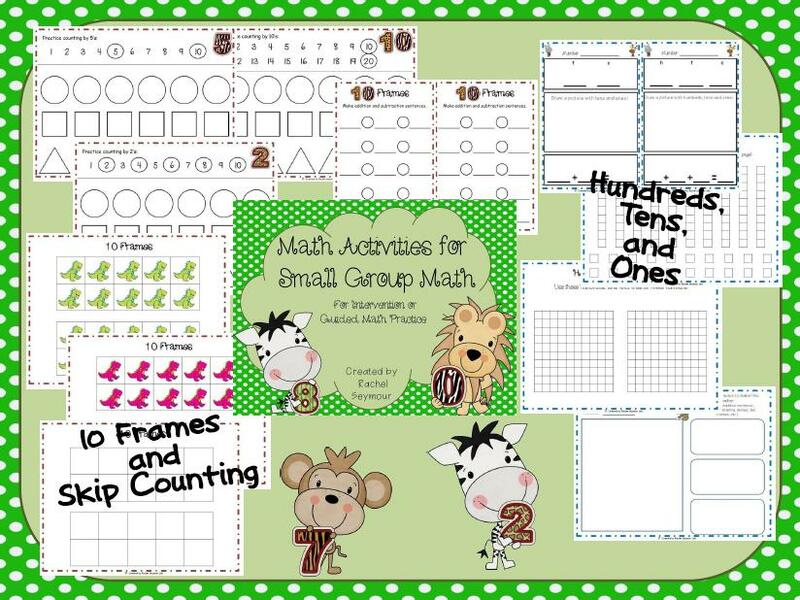 It's been awhile since I've had a giveaway so I thought I would have one with this updated math pack. 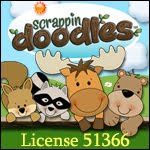 You can also click here to go straight to my TpT store and purchase the pack. Darn! I was going to be the first one! LOL, anyway it looks great! Thanks! We do lots of subitizing activities, work with Cuisenaire Rods, number grid work...and loads more! Your pack would be a perfect fit for my struggling students! Hoping to win! I follow your blog and store! This packet looks great for some of my kiddos! I use lots of unifix cubes and sticky notes! This week we are using pipe cleaners and beads. I hope I win! We have been really working with unifix cubes! I try to incorporate lots of manipulatives. 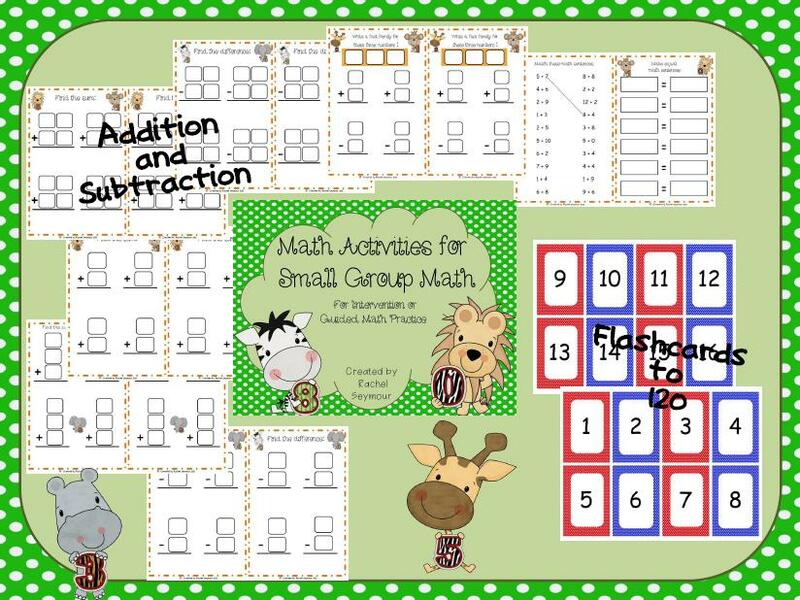 Must admit, though, I need to do more with guided math...hence I have my fingers crossed to win this fabulous packet! The packet looks great! In my classroom I do a lot with manipulatives, tens frames, dice, cards and right now dominoes. Love this! 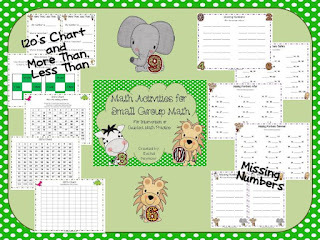 I use a lot of different math manipulatives. This is exactly what I need! I've been using manipulatives and games, but need some more paper practice. Thanks! I hope I win!! 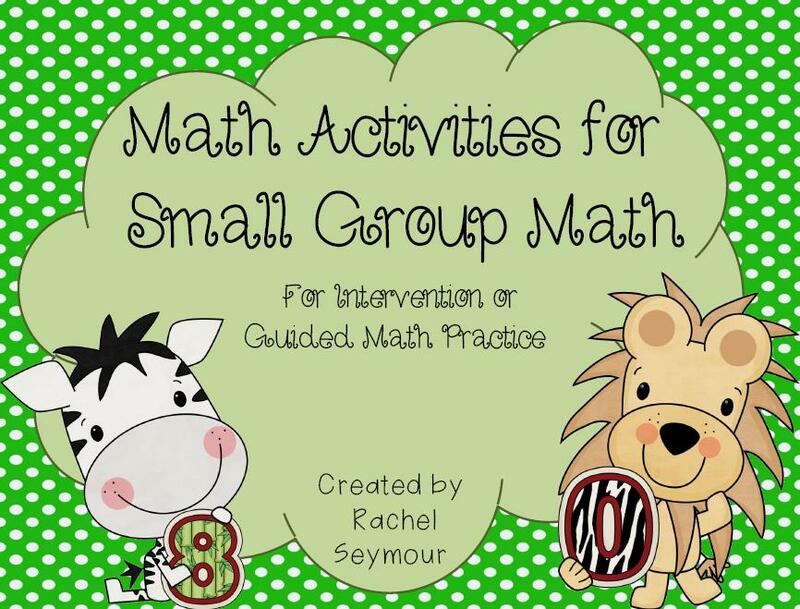 I would love to use is in my guided math groups! I currently use whatever I can get my hands on! This looks wonderful!! I use white boards, manipulatives, dice etc... I hopw I win!